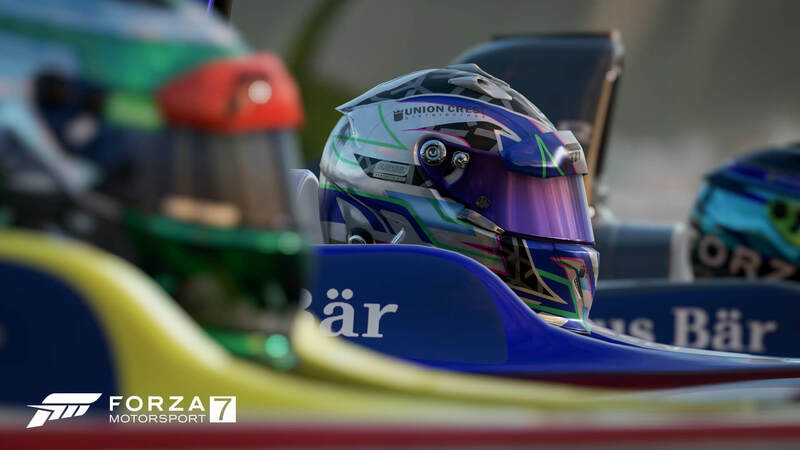 Leagues arrive into Forza Motorsport 7 on Tuesday, December 5th, developer Turn 10 Studios has announced, and will kick-off with an inaugural series called the ‘Intro to Leagues.’ The feature will be enabled with the next Forza Motorsport 7 content update including the December Car Pack. If you’ve never tried Leagues before when they were introduced with the launch of Forza Motorsport 6, they are scheduled online events in the game that are updated on a regular basis. They are designed to give players the chance to compete with others of a similar skill level and earn bonus rewards along the way. In Forza Motorsport 6, players earned only credits, with the odd car offered as an additional prize, with the Ferrari 312 P and 2015 Lamborghini #63 Squadra Corse Hurácan LP620-2 Super Trofeo being the most popular. The ‘Intro to Leagues’ series in Forza Motorsport 7 will act as an introduction for new players to the Leagues feature, and will also be used by Turn 10 to test its internal systems as the community tries out the new feature. 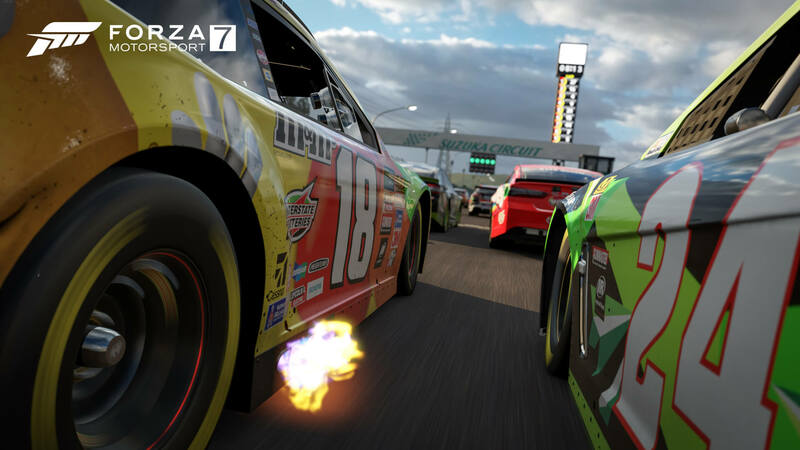 Leagues in Forza Motorsport 7 will be organized into scheduled timelines called Seasons, and each League Season will typically last for four weeks in duration – that’s a full month in total – and will be comprised of four week-long Series, which are then made up of Events. 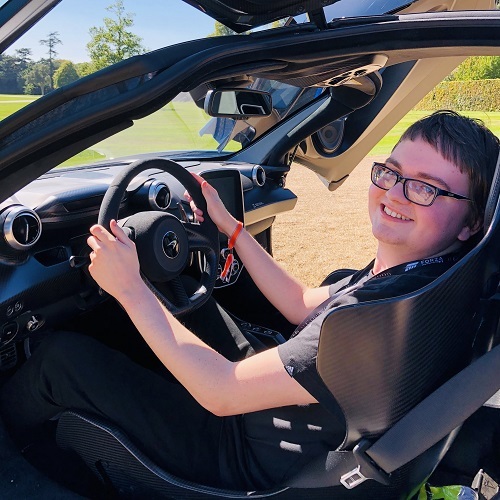 These are traditional multiplayer race lobbies like what we see in Hoppers, but they operate under specific rules and use a variety of vehicles, from specific make and model races, to events based around division or class. 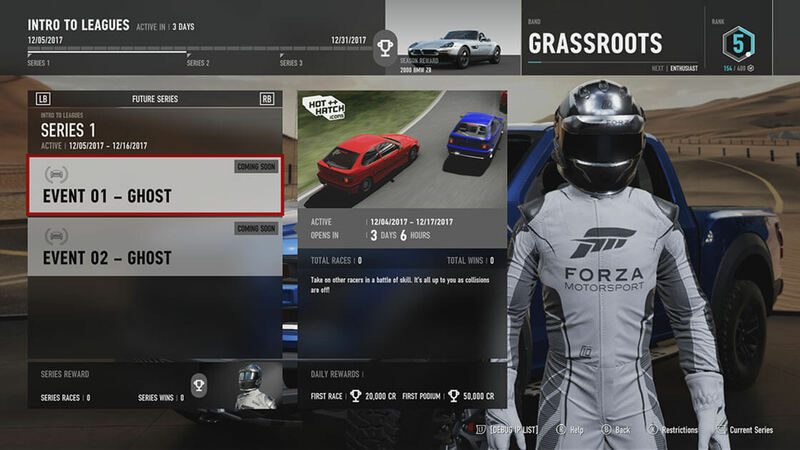 Forza Motorsport 7’s Leagues will organize players into five skill Bands – from ‘Grassroots’ all the way up to ‘Pinnacle,’ similar to Forza Motorsport 6. However, each Band will now contain five Ranks – with ‘5’ being the lowest and ‘1’ being the highest Rank within a particular Band. Players can move up or down in Rank and earn promotion – or even demotion – between Bands by earning Leagues Points. Players will always be aware of which Band they are in and their current Rank by consulting the main Leagues screen in the game, as shown below. The Leagues home screen provides players with plenty of information. On the left side, you’ll see details on the current Season and Series, as well as the latest Events available to participate in. Leagues will often have multiple events open during a particular Series, so be sure to race in the one which appeals to you the most. The main Leagues screen will also show details on what rewards you’ll earn for participating in a Series and the over-arching Season. Meanwhile, the right side of the screen shows all player-related information, such as your current Band and Rank, the number of League Points you’ve earned in your current Rank, and the total League Points required to move onto the next Rank. As mentioned before, you’ll be able to move between Ranks and Bands if you earn enough points. For example, a Rank 5 player in the Grassroots Band might move through to Rank 1 in that same Band with enough points. They may even be promoted to the next Band – where they would start at Rank 5. Players can also move down in both Rank and Band, depending on their performance in Events. This is where scoring comes into play. After each League race, players will earn League Points that will either increase or decrease their total League Points score. This is calculated in three different areas – Finish Position, Starting Position, and Opponent Skill. As implied, Finish and Starting Position award points based on where you start and where you finish, and are scaled by the number of players that you start a race with. If players drop out mid-race, you’ll be awarded the points based on the number of players who were on the grid at the start of the race. In addition, as a further deterrent to players from leaving race events early, those who do leave a race will receive a last place negative points payout. Ouch. So, in this case, racing to the finish and overall participation is far more effective than leaving sessions when your race position after a few laps isn’t high enough to your satisfaction. With Opponent Skill scoring, points are awarded to players based on their Trueskill ranking, which Turn 10 says is “a behind-the-scenes rating number,” as compared to the rest of the lobby. This means if a player’s rating is lower than average of the lobby, they’ll receive more points for higher race finishes than they would if their rating was at the average or higher than the average of the lobby. 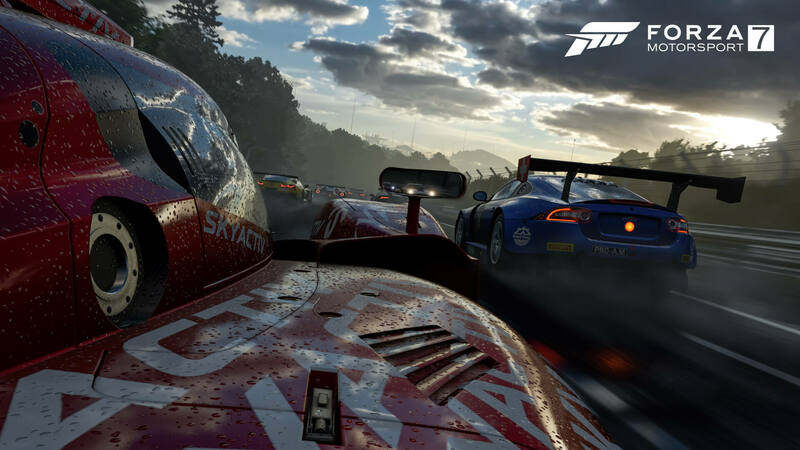 In terms of online matchmaking and finding racers of a similar skill level, Turn 10 has admitted that Forza Motorsport 6 often had a lack of full lobbies in the upper echelon skill tiers. That won’t be the case in Forza Motorsport 7, as each of the Bands will include an increased population of players per Band. By breaking players up into multiple Ranks within those Bands, Turn 10 will be able to allow more people into lobbies that settles them into the skill level that’s right for them. When searching for other racers, players will be matched to players in a similar Band and Rank, with players from adjacent Ranks sometimes filling in the gaps if required. Turn 10 says that Leagues in Forza Motorsport 7 are “designed to bring great racing to players of all skill levels,” and aims to encourage clean and skilled racing with League Rewards. It starts with credit rewards, as every day you log into Leagues and finish an event, you’ll receive a daily credit gift. You’ll also earn a credit bonus for your first podium finish of the day, and if you’re promoted to another Rank, that’s another credit bonus, and should you move between Bands after an event, you’ll earn an even bigger credit bonus. In fact, the higher you go up the Bands, the more credits you’ll earn for a promotion. It’s not just credits, however, as League players will also receive exclusive cars, player badges, and Driver Gear. For the first Season, players across all Bands will be able to earn the new Gingerbread Man and New Year’s Driver Gear suits, as well as two exclusive cars: the 1954 Jaguar XK120 SE and the 2000 BMW Z8. 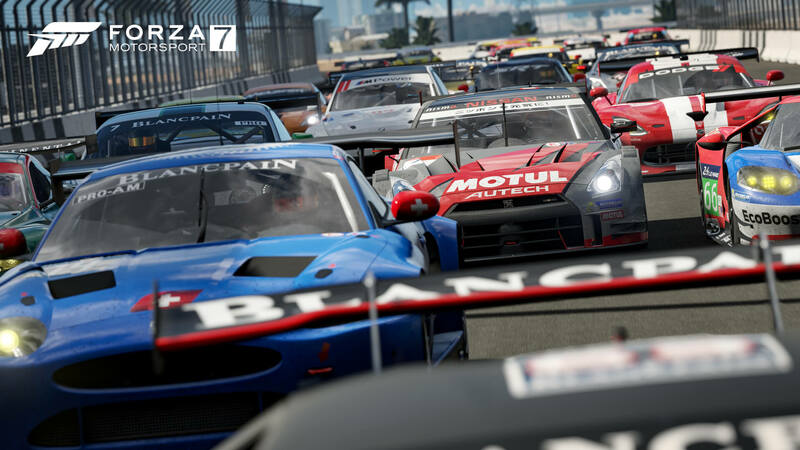 Leagues debut in Forza Motorsport 7 on Tuesday, December 5th, and the inaugural ‘Intro to Leagues’ season will continue throughout December and kicks off with a pair of Ghost race events – Hot Hatch Icons and Hypercar divisions. These events serve as an introduction for new League players, and will give experienced players a place to both earn and settle into their initial skill Band and Ranks. Series 2 in the ‘intro to Leagues’ season will feature one Ghost event – Sports Coupe Division – and one Simulation event – Exotic GT. 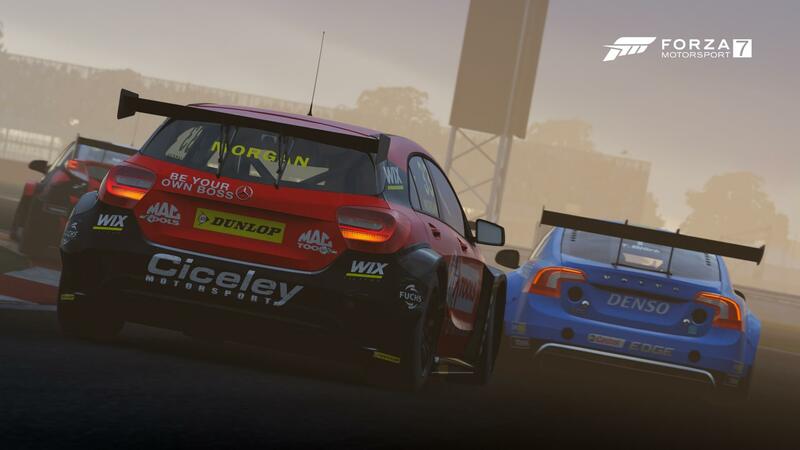 In the coming months, Turn 10 says it will be reaching out the Forza Community for feedback on the types of events they’d like to see come to League Seasons in Forza Motorsport 7. Until then, be sure to check out the inaugural season and get your initial skill Band and Rank in place.